Just the beginning… | Mr C.
The start of this blog post comes on the tube journey home from possibly the proudest moments in my career. 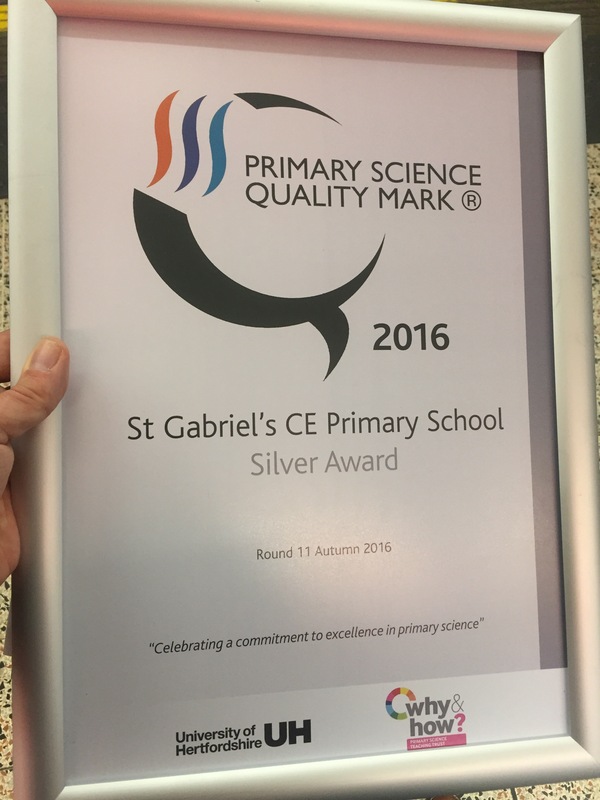 I have just attended the Primary Science Quality Mark award evening and collected the silver award for my school. I have always been passionate about primary science, but the energy, enthusiasm and sense of pride felt after the ceremony has reignited my passion. I’m currently clutching the award in my hands on a packed tube and I can see the gaze of people’s eyes as they try to read what’s on the framed award. There’s a part of me that wants to share it proudly on the tube – almost as if I’m showing good work in assembly. I think I’ll save that for those that really deserve the share in my pride, my colleagues and more importantly, the children at school. During the PSQM process, and indeed before, I always considered it to be the end goal, an achievement and award to say ‘that’s it, were good at science’. I was reminded of a conversation I’d had with Jane Turner (Director of the PSQM) back when I was an eager trainee teacher, when I confessed to her that I would do the PSQM award. And now, 4 years into teaching – I’ve done it! The question now though is, have I? Is that it? After hearing some amazing speakers and seeing the outstanding work that is happening in and around London. Is this really the end for me and my primary science journey? I’d felt like my PSQM days were done and it was time to move on. While I am now moving things forward personally (studying my MA in Science Education), at school the legacy of the PSQM is only just beginning. The primary science community is increasingly welcoming and I feel immensely humble to be a part of that. I’m sure that I’m not the only teacher who is incredibly humble and almost self-doubting in his own work and leadership of any subject. If I want to progress and develop a career in primary science these are barriers I need to overcome. This award ceremony may just be that catalyst, reaffirming that I am a good teacher, I can successfully lead the whole school through change and improvement and I should believe in myself. There are already a few avenues I can explore and I’m excited about what the future will hold. One thing is certain though, primary science is in my blood and I hope to be involved for the rest of my working career. Previous post ← Science: Are we really giving our children the best career opportunities? I agree with Jane. Your words are inspirational too. Inspiring children and inspiring other teachers – who could ask more of a primary teacher? Very well done and best of luck with your MA in Science Education. Your desire to keep learning and developing will be an example to the children you teach. This is wonderful to read. Thank you for taking the time to write it.i have no doubt that PSQM is not the end for you. please stay in touch with PSQM, go for gold very soon, keep up your membership of ASE, go to conference this year and let me know anything I can ever do to help. The primary science education community is welcoming and supportive- and you are part of it. Enjoy!